In addition to eagerly awaiting the arrival of millions of packages everyday in our mailboxes, we rely on truck drivers to haul practically everything we eat, wear and use from points West, North and South to New Jersey every day of the year. However, when a tired truck driver gets behind the wheel of a big rig, an 18 wheeler, a tractor trailer or any other large commercial vehicle, the results can be disastrous for other vehicles on the road. 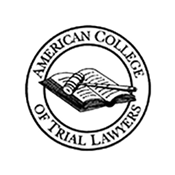 If you or a loved one is suffering from injuries sustained in a truck accident in Camden County or anywhere in South Jersey, you may be entitled to significant financial damages. 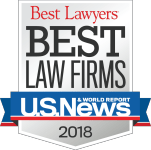 At The Law Offices of Andres & Berger, P.C., we will work hard to make sure you get the justice — and compensation — you and your family deserve when a truck accident was caused because of driver negligence. Consider this scenario: You’ve been working for days with very little break. You are under extreme stress to meet deadlines. Perhaps you aren’t feeling well and you have a million things going on in your life that are keeping you moving at a feverish pace. At some point, fatigue — the kind you can’t ignore — sets in. If you ignore it anyway and get behind the wheel, you’re asking for trouble. Now, imagine your job is driving an 800,000 pound, 70-foot tractor trailer. You have to have all your wits about you to control the massive vehicle, but you can’t keep your eyes open. This story is not likely to end well — for anyone. 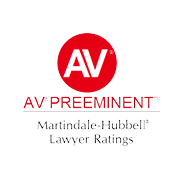 If you’ve been the victim of a truck accident caused by truck driver fatigue, speeding, faulty equipment or any other act of negligence, the experienced personal injury lawyers at The Law Offices of Andres & Berger, P.C. will do what it takes to get you financial compensation for your injuries. It’s important to understand that drowsy driving is almost as bad as falling asleep behind the wheel. All drivers must stay alert and aware of their surroundings at all times. This is especially true when you are responsible for hauling tons of cargo. If a truck driver attempts to stay on schedule by heading out on the road when sleepy, they are putting everyone else on the roadway at risk. It’s not unusual to witness a truck driver swerving, speeding, driving very slowly or having a delayed reaction time to other activity on the road because they are so fatigued. 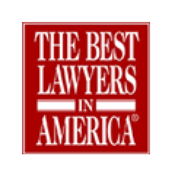 Not only will the The Law Offices of Andres & Berger, P.C. 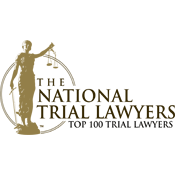 lawyers seek to hold the negligent driver responsible for an accident caused by driving fatigued, but we will also seek out other causes for an accident caused by a driver falling asleep behind the wheel. Trucking companies are bound by federal guidelines regarding how long truck drivers are allowed to remain behind the wheel before taking mandatory rest breaks. That being said, trucking companies don’t make money when truck drivers are taking naps. Some companies pressure drivers to extend drive times to “get the job done.” When drivers are pressured to alter logbooks, the trucking company can be held liable for violating hours-of-service laws. 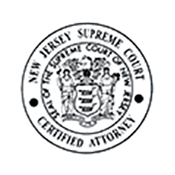 We have helped countless families in South Jersey by negotiating millions of dollars in damages at settlement and winning jury trials. We will make sure the truck driver is held responsible for the mistakes that injured you or your family member. Federal guidelines are in place to protect everyone on the road, including truck drivers. However, despite government mandates, truck drivers still drive when they are too tired. Ignoring federal regulations can result in catastrophic, even deadly, accidents. 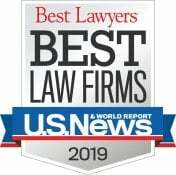 We invite you to contact the compassionate, successful truck accident lawyers at The Law Offices of Andres & Berger, P.C. today for a free consultation about your case. We will fight for maximum compensation for you and your family. There are no upfront legal fees; in fact, unless we collect damages for you, you won’t pay a dime in legal fees! The consultation is free and you have nothing to lose by learning your rights from a savvy personal injury lawyer at The Law Offices of Andres & Berger, P.C. today. We are on your side.